It was a pleasure to catch up with Calvert Dixon from the Navajo Nation at this years Gallup Inter-Tribal Ceremonial Powwow. I introduced myself to Calvert late on the Saturday afternoon and we shot some images before the thunderstorm struck Red Rock State Park. 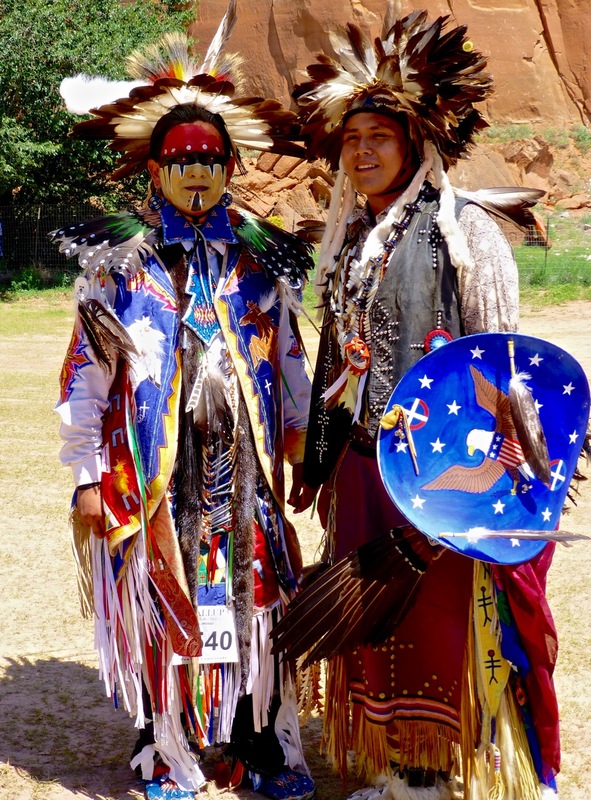 On the Sunday the weather was fine for the final day of events and powwow dancing. Between Calvert’s competition dances we created two series of stunning images together in natural light. One set was against the backdrop of the Red Rocks. And the second series was using the powwow canvas tent as our backdrop matte. 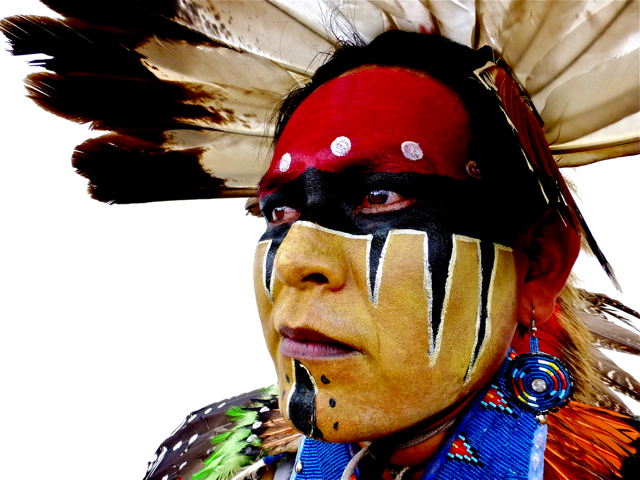 This style of photography I had repeatedly tried with much success with tepee canvas covers as the background at various powwows using my two old film Olympus OM 20 cameras over the years. Although I must admit it was nice to use modern digital cameras to compose the images of Calvert. All up we had a fun time and we created images that our families and friends would enjoy and be proud to see on computers or in hardcopy prints. In the final editing thirty-three images from the Saturday afternoon shoot and the Sunday afternoon shoot were catalogued into the Native America: Dinetah to the Greasy Grass Portfolio 2008-2013. This entry was posted onThursday, November 14th, 2013 at 1:54 am and is filed under Sydney, NSW, Australia. You can follow any responses to this entry through the RSS 2.0 feed. You can leave a response, or trackback from your own site.